An entrepreneur looking at the expenses calendar that tracks all outgoing payments, adhering to Rule of Thumb #2 Pay Out - pay yourself and your employees a consistent salary. Small business owners face complex financial management challenges every day. These challenges are exacerbated in developing countries where entrepreneurs may lack the education or financial skills to overcome these challenges. Financial training initiatives typically yield minimal results, so GRID Impact was hired to create financial heuristics that can improve how microentrepreneurs in Ecuador manage their businesses. 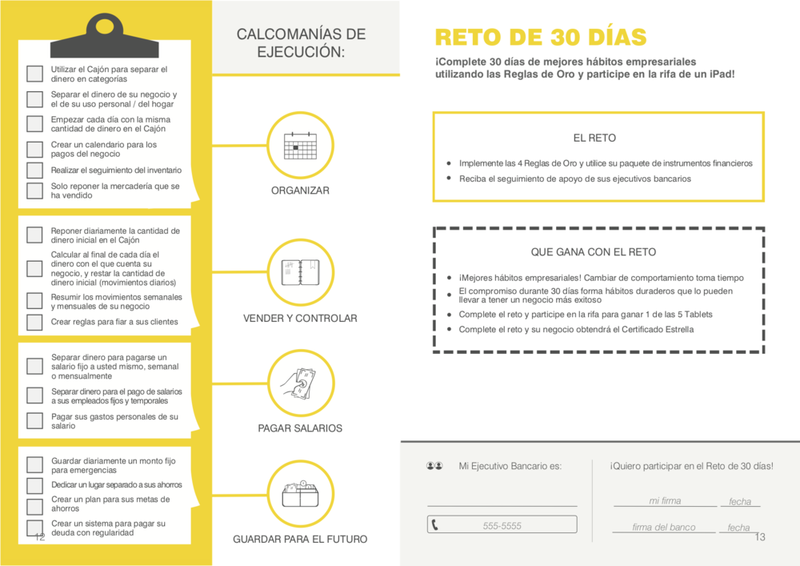 Design tools based on simple heuristics, or rules of thumb, that will improve how microentrepreneurs in Ecuador manage their finances. I freelanced for GRID Impact supporting a research and implementation team working in the field. My role was to use their research to design a workbook and training tools. GRID Impact conducted behavioral research in Ecuador, and I worked with them to distill that research into actionable tools to include in the workbook. My team and I iterated on the product internally before they took the product into the field in Ecuador. With this feedback, I finalized the workbook and created an asset that can be readily re-created in Ecuador. I led the development of a financial journal, a 100+ page workbook that contained multiple tools to encourage savings, good credit practices and following a monthly system to maintain the financial health of the CNB’s business. Next, we designed a simple curriculum, following a train-the-trainers model, where trainers would go out into the field to teach CNBs. 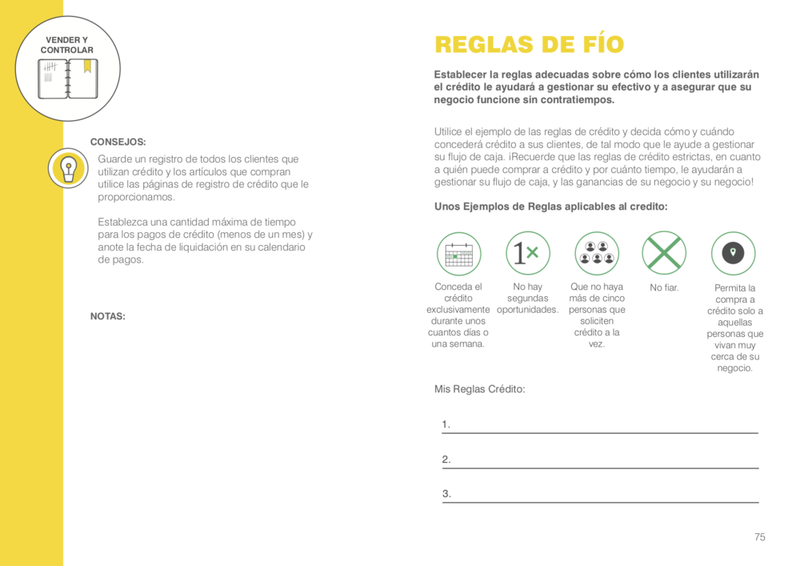 We created clear guides for them to teach the rules of thumb, and tools that they could reproduce in Ecuador. 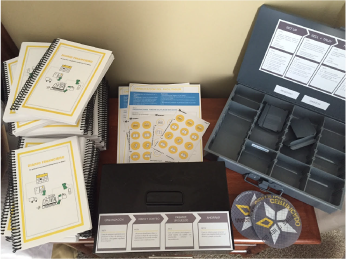 Our final products included a cash box (right), training guide (center) and the financial journal (left). The financial literacy trainings were carried out, and the client Banco Pichincha will track how the microentrepreneurs adhere to their rules of thumb. We created a challenge to encourage the CNBs to stick to the rules and implement them over the course of several months so we can properly measure changes in their financial habits. 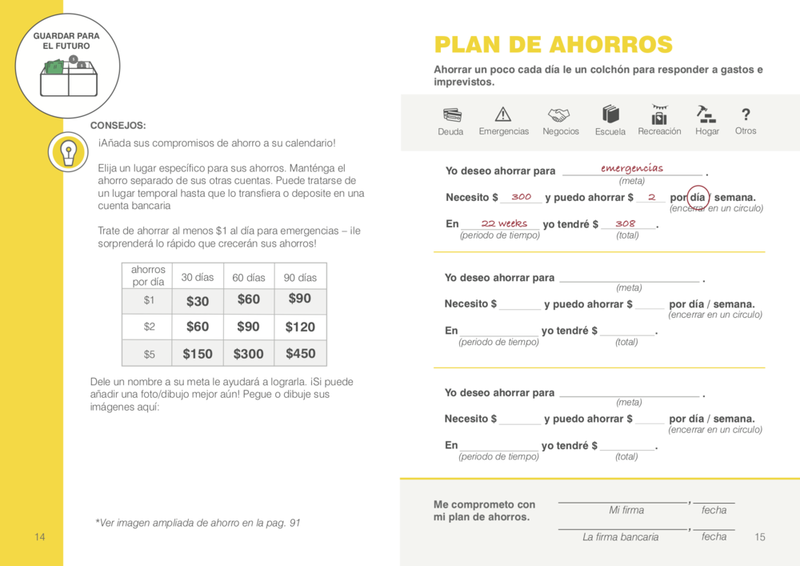 It was important to design a manual that can be used in Spanish or English, and re-printed in Ecuador. The final visual design and layouts took the capabilities of print shops in Ecuador into consideration. Additionally, it was important to include contextually relevant examples, which we learned in the field. These pages are a selection from the financial journal we designed to help microentrepreneurs manage their finances.